If you follow my blog, or my posts on social media, you’ll know that I always credit my dad with teaching me everything I know… how to build, how to design, and how to eat a mean slice of pizza in like, three bites. But, for serious, the best thing he has ever taught me is that it’s never too late to appreciate life and start over. 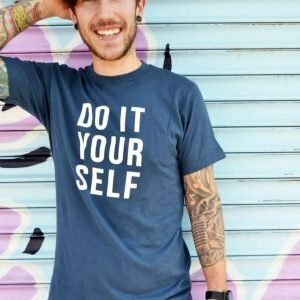 I promised I’d share his story, and although it’s a rough one, there’s a moral (and the reason behind his business’ name) at the end of it – so, hang tight. Shortly after I graduated high school in 2008, my family and I received a call that my dad was in the hospital with severe injuries. He was working on a construction site when his shovel hit an illegal power line in the ground. The line, which powered a traffic signal, electrocuted him and he was thrown 20 feet into the air. The paramedics on call feared he didn’t survive. But, he did. However, he was severely injured. The electric not only fried his body, but essentially shorted his cognitive abilities, fused the muscles in his hand together, and destroyed the cartilage in his cervical spine. Needless to say, he needed tons of therapy, surgeries, and TLC to live a semi-normal life (which, don’t get me wrong, he still struggles to do today). 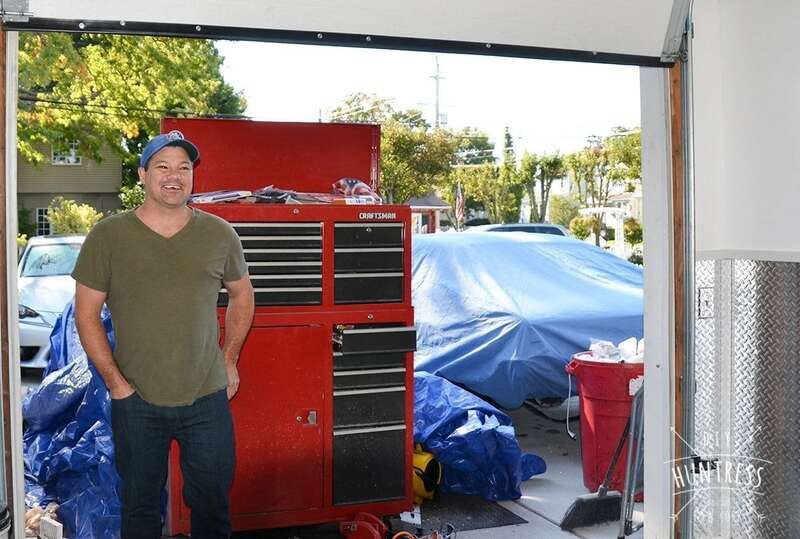 It was at any point during this process that he could have given up, but instead he looked at his accident as a second chance at life as well as a chance to do what he’s always wanted to do – leave his heavy-lifting job and restore classic cars. 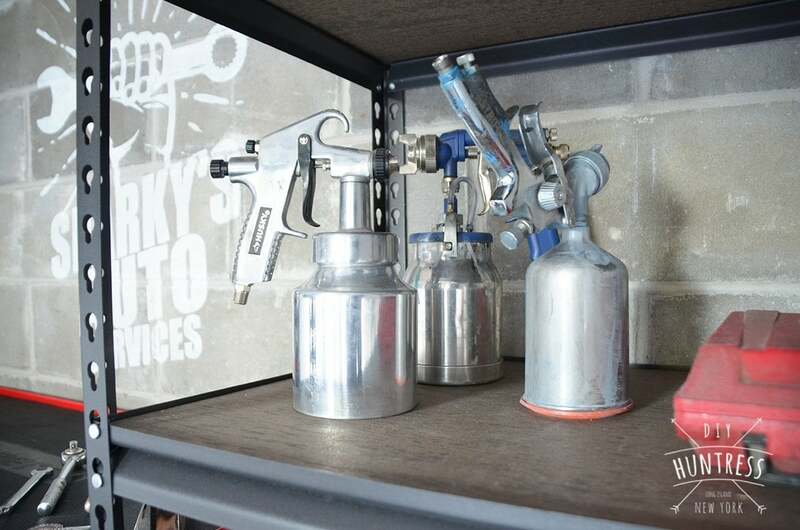 But, thanks to Rust-oleum, he now has a real second chance at life with a legitimate shop. Taa-daa! First, we cleared the space – which, sucked. My dad has so much crap. It’s pretty impressive. 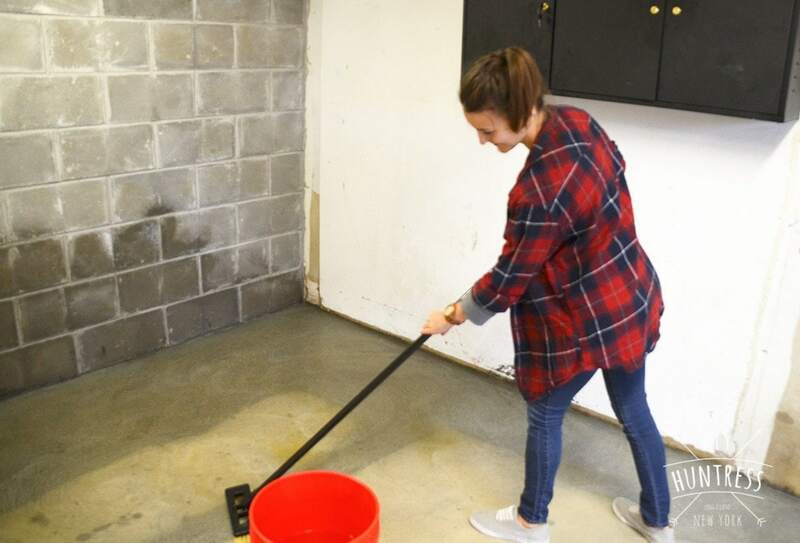 Once the space was clean, we were able to begin the flooring process using our Rust-Oleum Rock Solid Metallic Flooring Kits (we used four boxes for a long, 1 and ½ car garage). First we soaked and etched the floor (aka, just gave it a real, good acid washing). Then, after letting it dry for about a day and a half, we were able to mix the new flooring by following the instructions on the package. Next, we applied the floor. 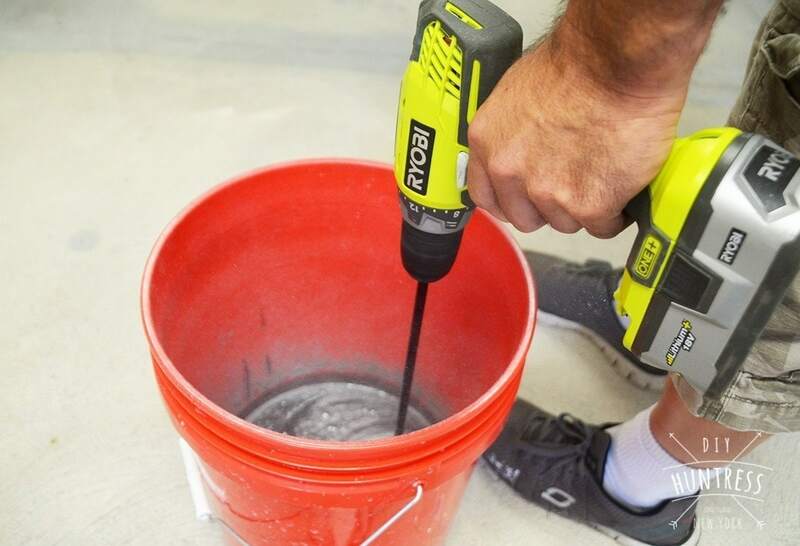 You guys… this is so helpful… if you have a textured floor, like in my dad’s garage, there’s a different technique you can use to apply the floor! 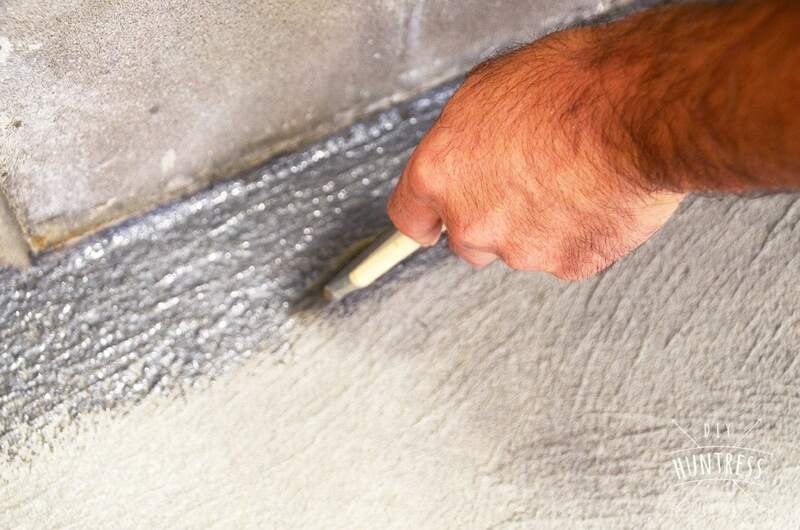 For flat surfaces, a roller is the recommended installation tool. 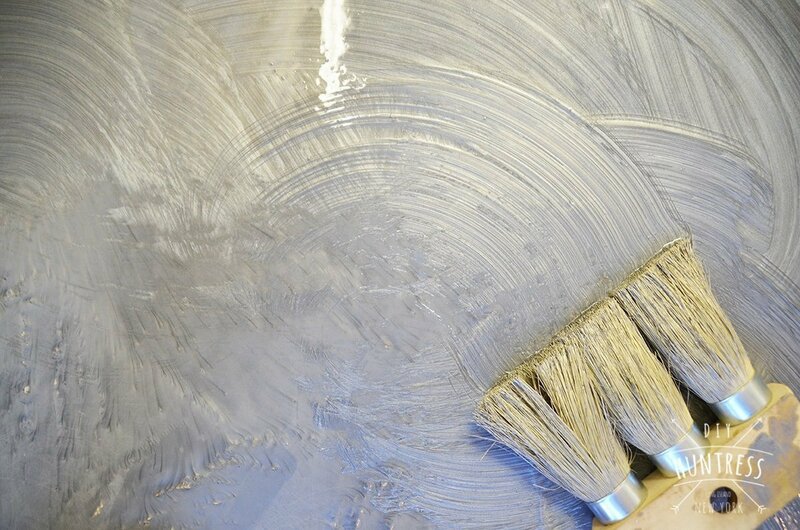 But because our floor was textured, we ended up using a thick, synthetic brush to swirl on the product. 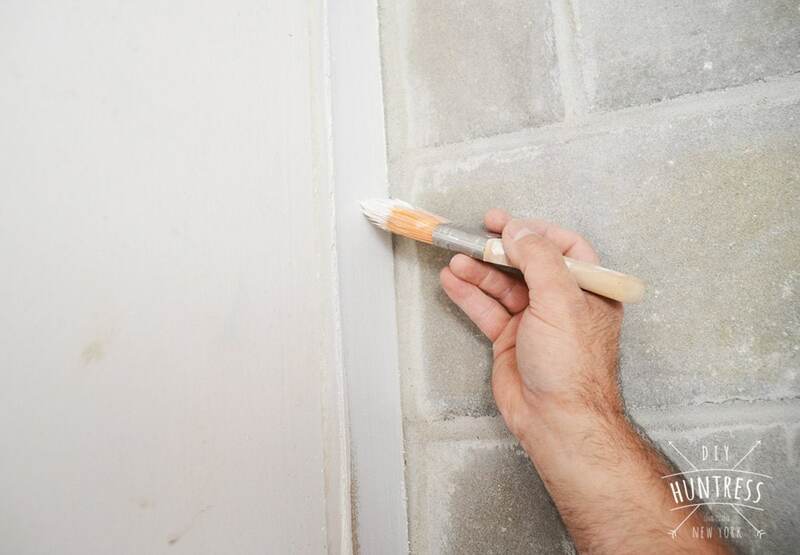 This stopped any air bubbles from forming in the crevices (thanks Rust-oleum, for the tip)! The floor took about 8 hours to dry to touch, but we gave it a solid 12-16 hours before even going near it. But, once it was dry (and looked amazingly cool), it was time to overhaul the space. 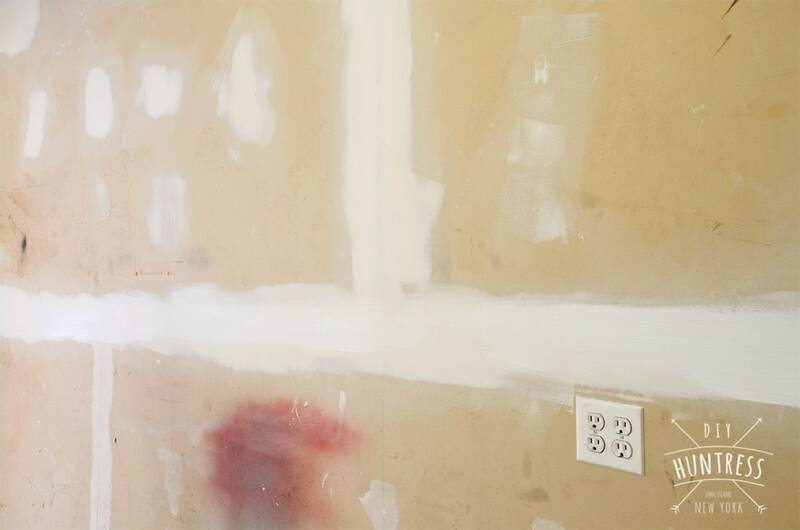 We taped and patched the walls, painted, and added some diamond plated panels (which basically blew our budget – they were $450 for 5 panels… ouch, but also, worth it). With the remaining $300, we were able to add some final touches such as new shelving units and a new tool stand. And… for my favorite part. We installed an insanely cool license plate wall, which is made from donated plates, courtesy of the most amazing readers in the whole world (you guys, really – thank you so much to whoever donated a plate… my dad and I are OBSESSED). Lastly, there were two things I knew would put my dad over the edge. I designed and painted a cool new logo for him on the back wall with overhead lighting. 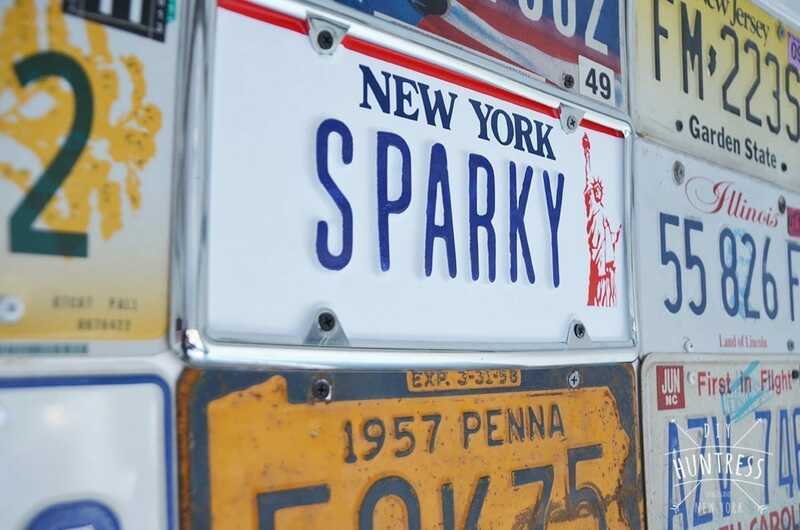 In case you couldn’t tell, his business’ name is “Sparky’s” because of the accident… which, is actually pretty hysterical considering the circumstances. But, also not “shocking” at all considering my dad is basically the funniest person on the planet. 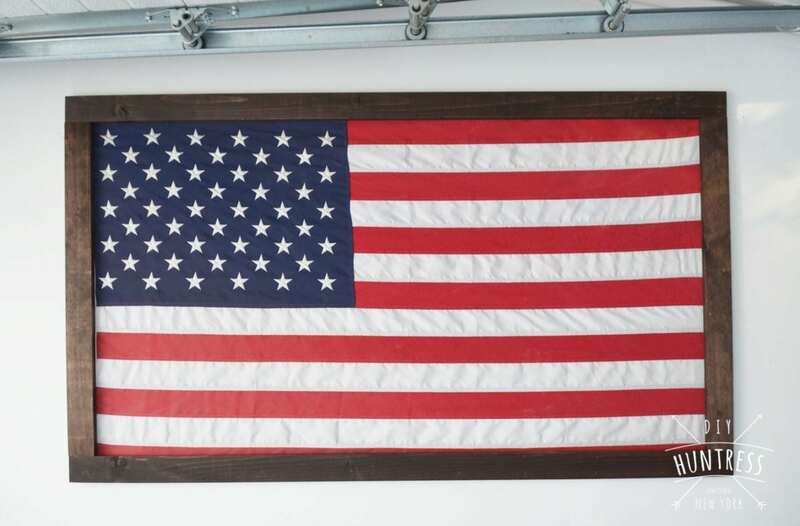 Second, I framed his favorite piece – his big, ol’ flag. (also, please ignore the mess outside of the garage, it’s all being donated). What do you guys think!? I know this wasn’t the typical post, but this overhaul was such a fun project! My dad and I were both stoked with the end result, and I cannot WAIT to see what he does with his new, new start in life. Do you know someone who deserves a new start in life? 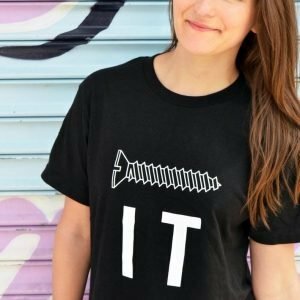 Or, maybe you need one! 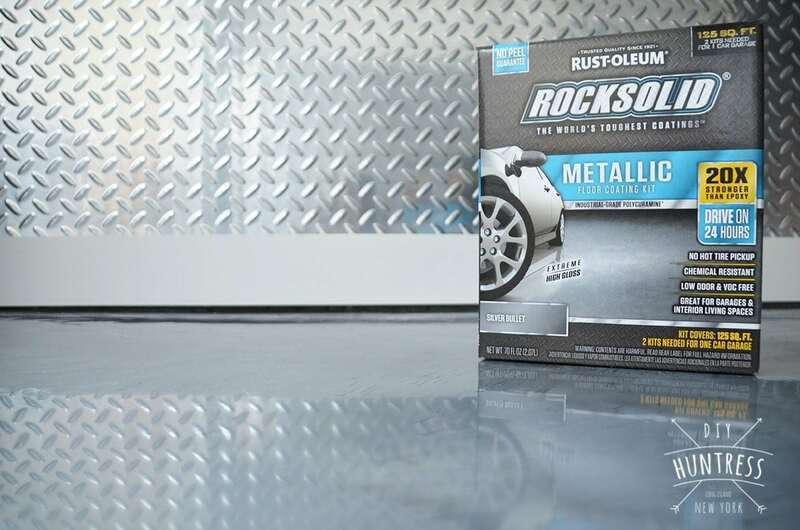 Either way, Rust-oleum and I have partnered to give someone a $500 Home Depot Gift Card & Rust-oleum Rock Solid Kit! Make sure to enter below to win! In the meantime, I’ll be policing my dad as he puts things back in his garage (he has no choice but to keep it neat now). Hope this post inspired you to create your own Rock Solid Retreat, and if not, at least I hope taught you to never look back and always stay positive. Life is too short to live in the past. Let’s get moving! ** One last giant thank you to Rust-oleum for providing the Rock Solid Metallic flooring kits and $500 Home Depot gift card for use in this project. All product opinions, flooring colors, and designing liberties were of my own (and, also, my dad’s). Great work. I know your dad will enjoy this very much. He’s a lucky guy. Thanks so much! He’s so happy with the transformation! 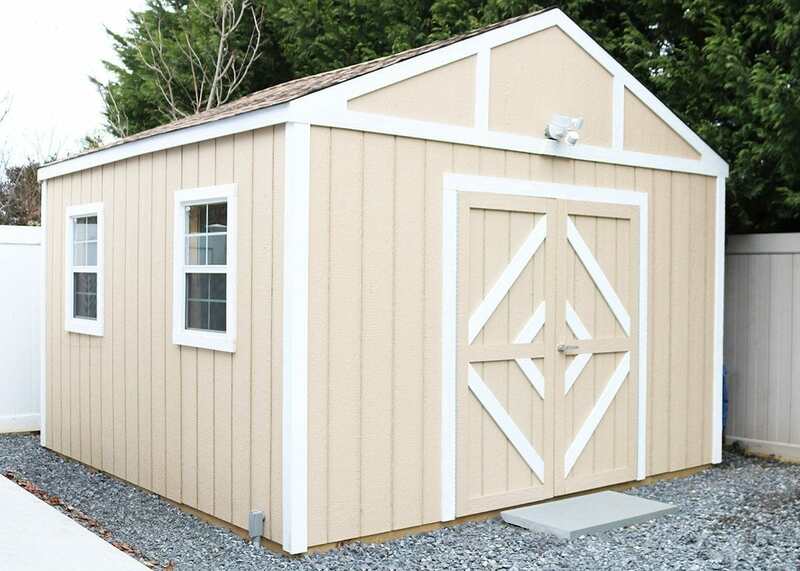 I am about to add a garage addition to my house. This will be perfect! I want to make it a girl power building room so I think a little metallic shine on the floor is just what it needs!! I love that! Can’t wait to see what it looks like! Goodness I would love to do this in our garage. It is so boring. One day. One day for sure! Hope you entered the giveaway! My cave would have a place for tv/movie watching, crafting, and a reading area with sunlight pouring in! This looks great!! 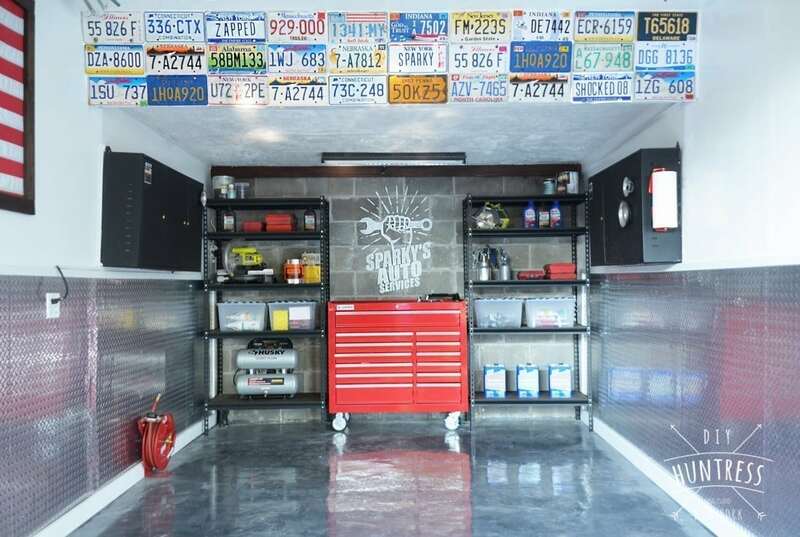 My garage could really use a makeover like this! Looks great! Your dad is a lucky man to have a daughter do something like this for him. Love the floor. I want to do something like that in my shop but its not in the budget. Thanks so much! Hopefully you entered to win so it can be in the budget! This would be awesome in our newly dry walled garage!! It would be! We love the new floor! Wow! What an awesome story! Such an incredible makeover, great job! I love that! It would look great in your space! Good luck with your business! Love that floor! I always wanted a jet black floor with glitter in it. Amazing job! This came out so great Sam! I’m sure your dad is so very proud and thankful for you! Thanks so much! Dad is love with his new space! Sam, this came out wonderful , congrats on a an awesome job !! Everything looks fantastic, Sam! I would love a garage that looks like this. A little diamond plate and Rust-oleum could make it happen. Cool story. Glad your dad has a sense of humor about it!! For sure! Thanks for taking time to read about it! 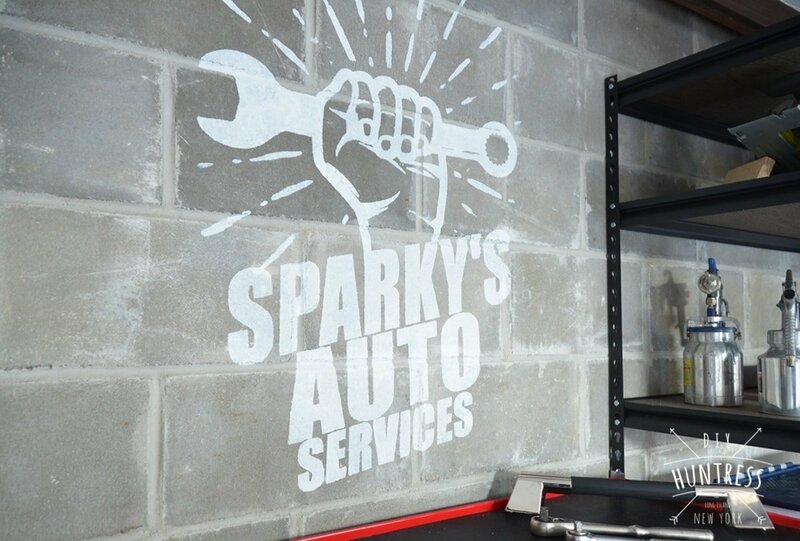 Your dad’s garage looks fantastic! I need to get serious about fixing up my messy garage workshop space, including the stained & cracked floor. This might be the product to get me started. Thanks, Jessica! Good luck to you! It really did wonders for his space, and I know it can for you as well! What an amazing space you’ve created for your dad! He’s pretty lucky to have you. This Rock Solid product would be great to transform our workshop. Thanks so much! The floor made such a huge impact on the space! Good luck to you! Nice job! Looks great! And what a wonderful gift for your dad! You are a kind, hardworking and talented young lady and you should be very proud of yourself! Don’t expect dad to be in the house anytime soon- my guess is you’ll have to pry him outta there! Thank you so much for the kind words! And yes, I already do — although he’s been keeping the door open to show off to the neighbors! Ahaha. My “cave” would be the garage, and it would look amazing with rock solid!! Great job! What a fun and modern look! Thanks for sharing! Awesome! I’m imagining Gray Rustoleum floors and navy cabinets. A big long work bench and plenty wall storage. Additionally, room to set up the table saw! I love that – would look so nice with navy cabinets! Love the final look! The license plate wall turned out fantastic! Looks incredible! 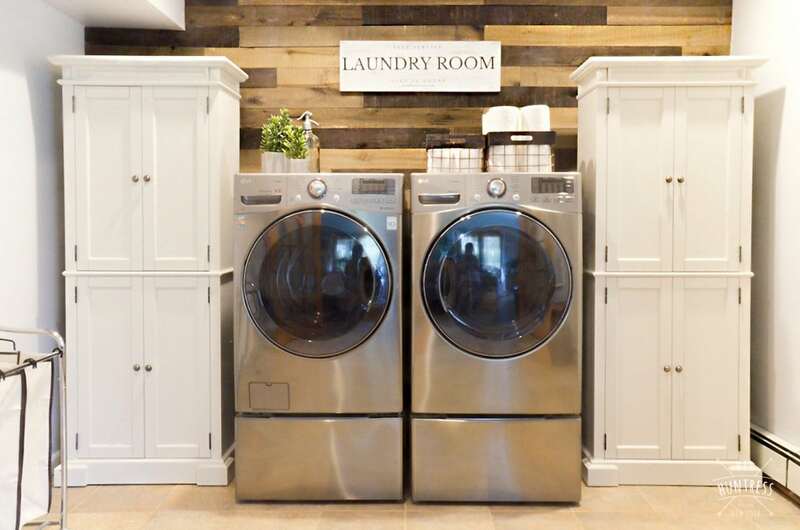 I need to redo my laundry/mud room that’s on a concrete slab. That floor would be INCREDIBLE in there! Looks awesome!! 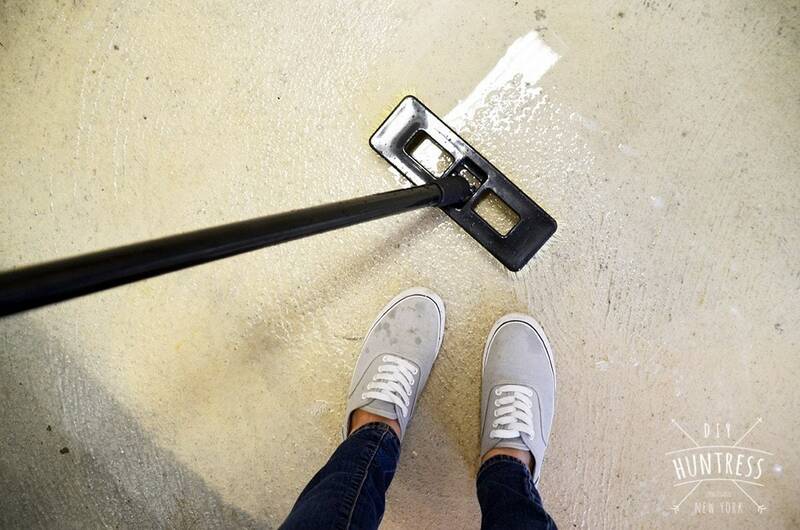 My parents did the same to their garage floor and it looks great. Their garage floor looks clean all the time because of the floor. My ‘cave’ would like so much better with an awesome looking floor for all my tools and the kiddo’s toys. Looks great! Hope we win the giveaway! 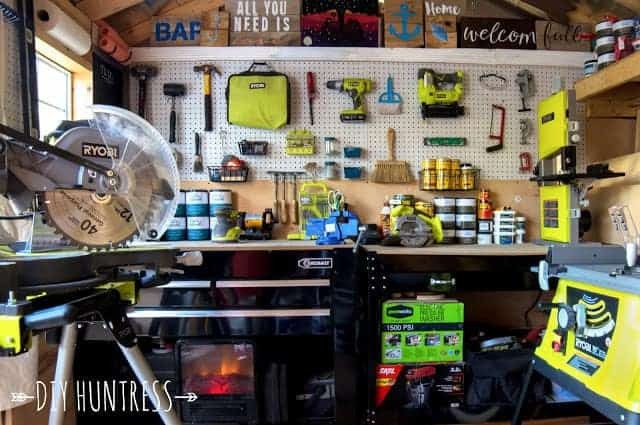 Getting ready for a baby and garage is a disaster zone would love to redo from floor to ceiling! Wow! 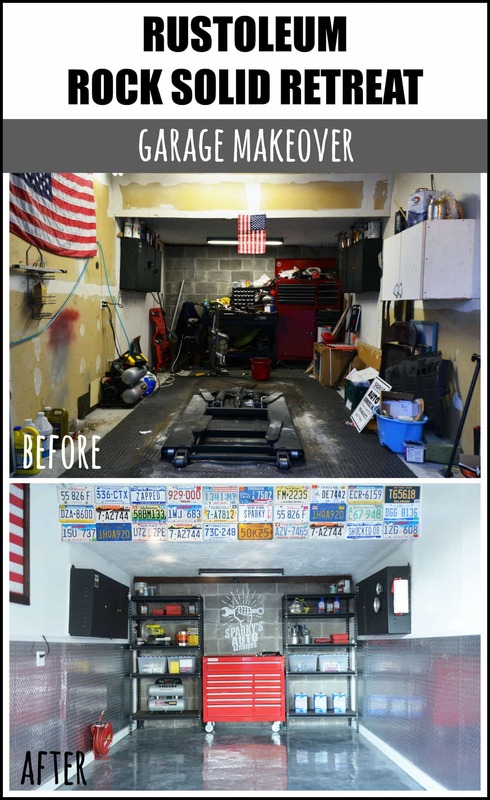 That is a great garage makeover. 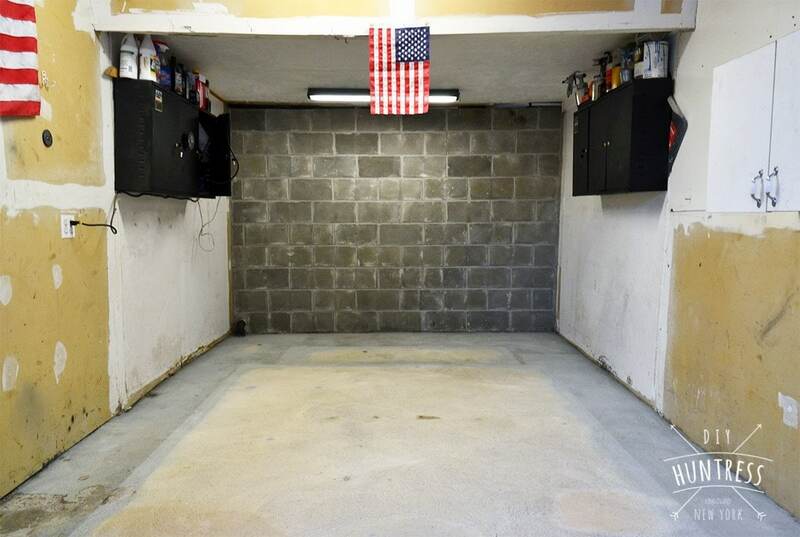 It would be great to fix up my garage and the floors would be an excellent place to start! Great Job on the garage. I would love to do that to my floor. 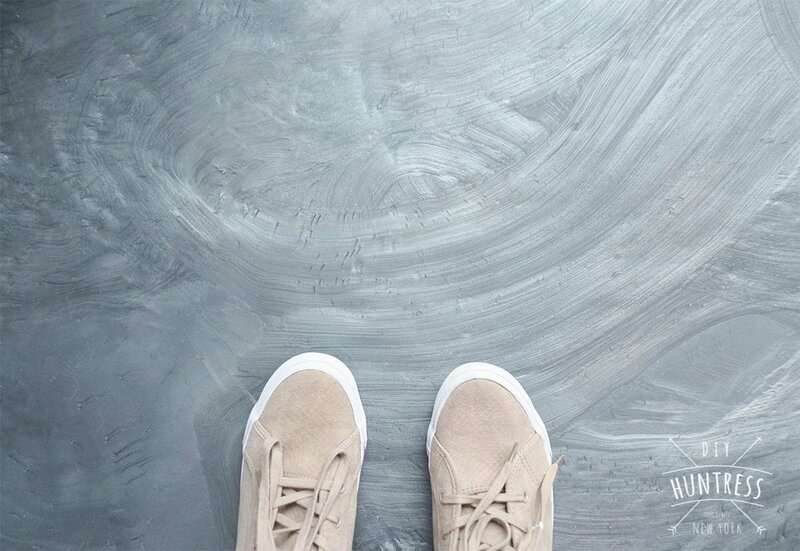 Bare concrete with paint stains is just not that inviting to work in. I just restored my grandfather’s 54 chevy truck…. now the garage needs to be restored. This would be perfect! Oh man my new shop garage would look pretttty good with a new floor!! Looks super easy! Looks great! I’m so glad your dad is doing better! 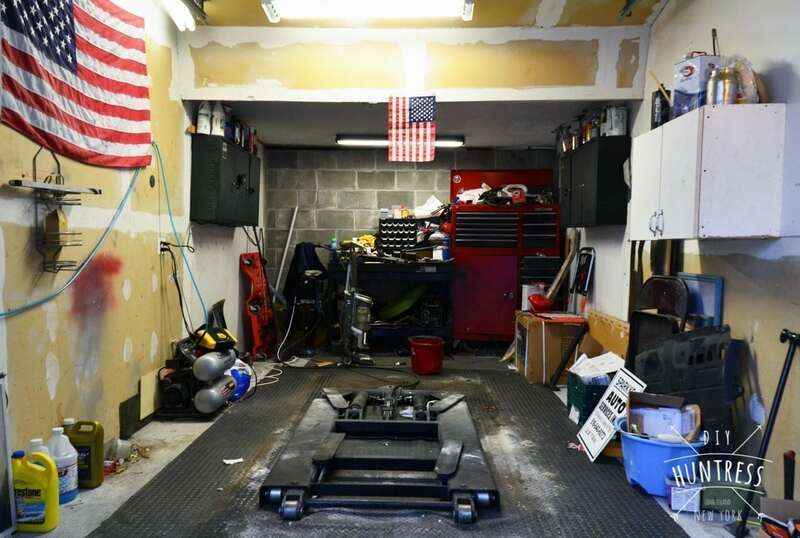 His garage is so awesome! Great work. I love how bright and clean it looks. 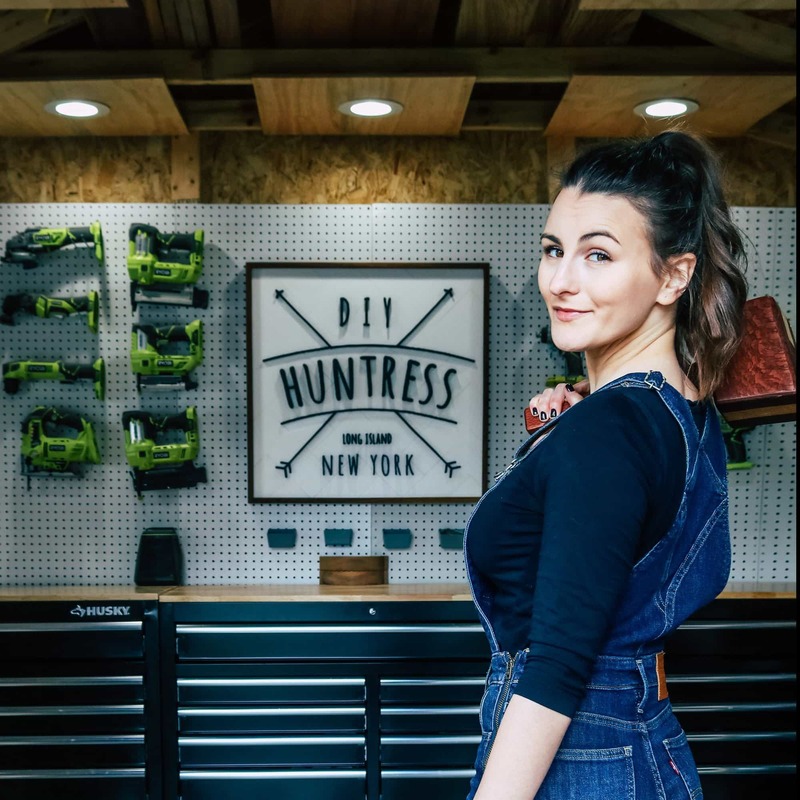 My husband and I bought our first tools last February and fell in love with building but we were living in a tiny apartment and kept all our tools in the coat closet haha. We finally just found a place of our own and the garage is a little beat up, it works for us.. It’s just not pretty ha. With a little extra money we would definitely love to class it up a little and make a sweet space to store our new hobby and create in. Your dad’s story is awesome! Terrifying but cool he gets to do something he loves now!